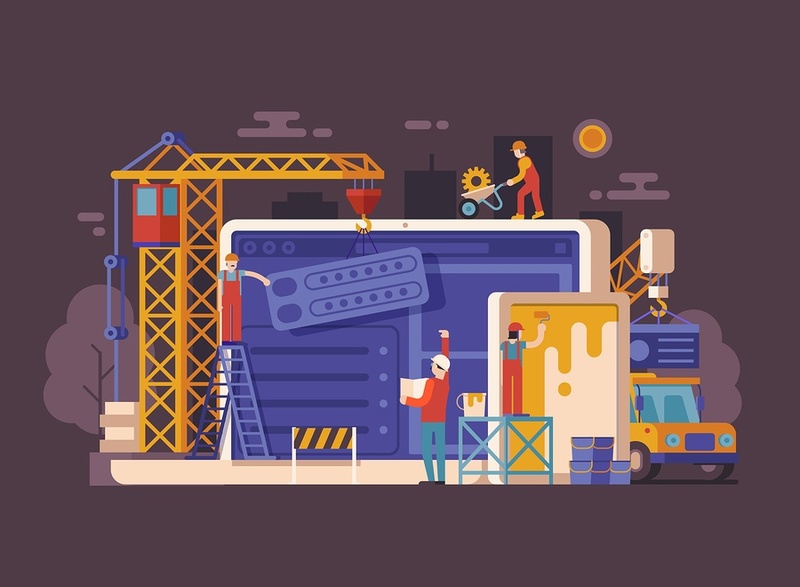 All too often, businesses (and even web developers and marketing experts) focus way too much on the technical aspects of a website. You'll hear terms like Mobile Friendly, Responsive Design, Wordpress, Parallax Scrolling, or SEO optimized sites. Some of the more creative ones will also stress the importance of design elements such as colors, fonts, logo, content, layout of photos. But - if you only look at the technical or creative elements of your website, then you may end up with a beautiful website with one major problem. Your Website Does Not Generate Leads! This is because the website is only an instrument to get a visitor to learn more about you, to learn who you are, and to find out if you can do what you say you can do. Don't get us wrong; technical and creative elements in website designs are very important. But if you want that visitor to pick up the phone or fill in a form, you need to make sure your website is in alignment with your MARKETING STRATEGY. To turn your website into a sales machine, make sure that you consider the following five points. Each business has its own target market. These are the people who buy your product or service. Rather than classifying your potential customers by what you provide, visualize your target audience and create a "Buyer Persona." A persona is a fictional yet realistic description of your typical customers. The persona should be described as if he or she were a real person. Identify your target customers' age, gender, ethnicity, education, and personal income. Visualize what kind of car they drive, where they live, and what their hobbies are. By knowing who you are chasing you can make sure that your web design, copy, and images are all working together to appeal to your ideal prospect. Unless you are an entertainer, people will probably only visit your website if they have a problem. If they don't see that you are addressing their problem, they will bounce and look somewhere else. So what is their problem? Be specific, make it personal, and describe their pain points in language they can relate to. Only after you know what their specific problem is can you provide a solution. Now that you know their problem, how do you solve it? Make sure that you can go beyond the "features and benefits" of your solution and clearly lay out why your solution is the answer they are looking for. Use natural language and avoid any industry specific jargon. Simple and everyday words are ideal choices when communicating your ideas to a general audience. If it helps, follow the "KISS" principle, which stands for Keep It Short and Simple. If you struggle to know why someone should buy from you and not someone else, you are not alone. Spend some quality time thinking about what makes you special and different from your competition. Avoid using phrases like "We have the lowest price," "We provide great customer service," "We are the best," or "We have the highest quality." In marketing lingo, this is your USP - your Unique Selling Proposition, your competitive advantage, the "Why you?" question. "Our tightly knit team provides a unique web design experience by sitting down with our clients to refine their marketing strategy and craft the right stories that result in an engaging website, which helps turn visitors into customers." In marketing, there is the Rule of Three. You get the idea. On your website, you might be tempted to promote all of your products and services. But that would be a mistake. Most people can only remember three things in short term memory. While people like choices, too many choices will cause confusion. Remember that your visitors are coming to your website because they have a problem. You are uniquely qualified to solve it. Now, make sure that you have identified the problem, and promote only your best three solutions. You can list all of your products or services somewhere a little deeper on your site, but in terms of promotion, keep it simple and leverage the power of three. Don't worry about articulating your ideas with perfect English - that's what copywriters are for. It's far more important to work with these five points to form the foundation for your website. If you go with a "fill-in-the-blanks" templated website design, the best you can hope for is a "pretty website" that doesn't generate leads. So, before you lift a pen to design or re-design your website, remember these five points, and you'll be on the path to turning your website into a sales machine. 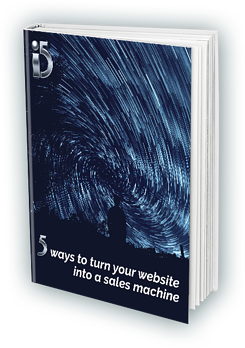 Want to turn your website into a sales machine to get more leads? Download the free PDF version of this blog to get started!